Differential nucleotide blends can positively affect blood sugar and weight loss as compared to alternate nucleotide blends which impact weight gain and developmental growth. (Fukumori, 2000 and Hu 2014 and Levine 1983). In addition, very specific ratios of nucleotides have also been shown to aid in needed cell growth in the small bowel (Evans 2005). The actual height of the villi lining the small intestine increased in supplemented animals, increasing the surface area for absorption of digested nutrients. These villi play a role in transport of as sugars, amino acids and vitamins. This data has positive implications for those with nutrient absorption issues, leaky gut and chronically low amino acids and minerals on biochemical tests. Rather than use specific nucleotide ratios, the use of mixtures containing equal amounts of RNA based nucleotides was able to allow for normal development and differentiation in models of human intestinal cells (He). Specific ratios of nucleotides were also found to improve intestinal integrity following injury and limit the movement of bacteria into the gut. (Adjei 1996). Furthermore, Adjei demonstrated in mice that “a mixture of nucleotides is more effective than each nucleotide added separately in leading to the recovery of the mucosa and in providing protection against bacterial translocation” (Norton, 2001). As compared to the addition of specific nucleotide blends or the use of yeast RNA, the addition of a DNA base did not have similar effects on intestinal cells (Holen 2004). This is considered to be consistent with the fact that the DNA base thymidine is not found in human milk or RNA and is not added to infant formula. In addition, RNA based nucleotides have impacts that are not shared by the use of the DNA base thymidine (Holen 2006). Several studies have looked at specific nucleotide ratios and their impact on immune function, specifically the levels of IgG, IgM and IgA antibody levels in response to a range of antigens including the reaction to casein (Martinez-Augustin 1997). The conclusion is that dietary nucleotides in specific ratios have a positive impact on immune system development “Thus, dietary nucleotides appear to exert actions on immature human neonate lymphocytes enhancing the in vivo production of Ig which may have a role in the defense capacity of neonates.’ (Navarro 1999). 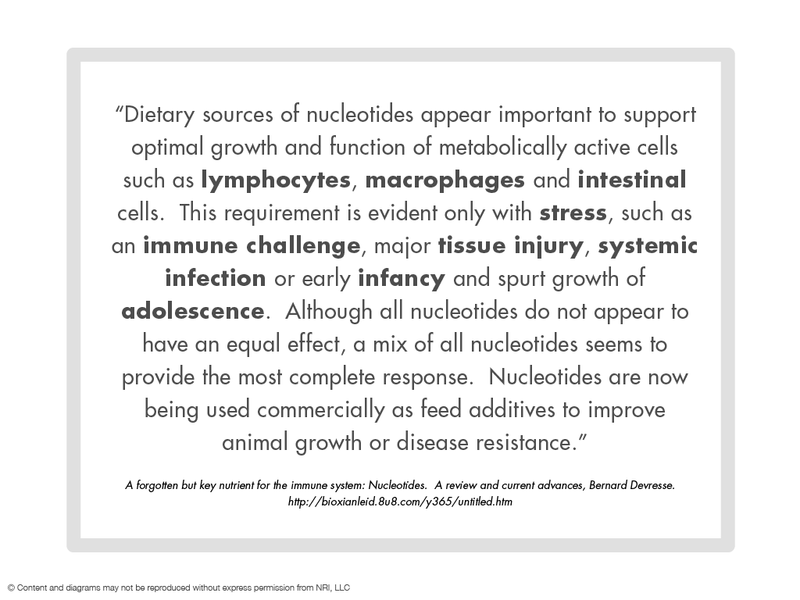 Overall it would appear that nucleotide blends are able to help support the digestive system, aiding in immunity, addressing those with casein sensitivity as well as supporting healthy antibody production. The literature clearly suggests that specific ratios of nucleotides may have differential and beneficial effects. 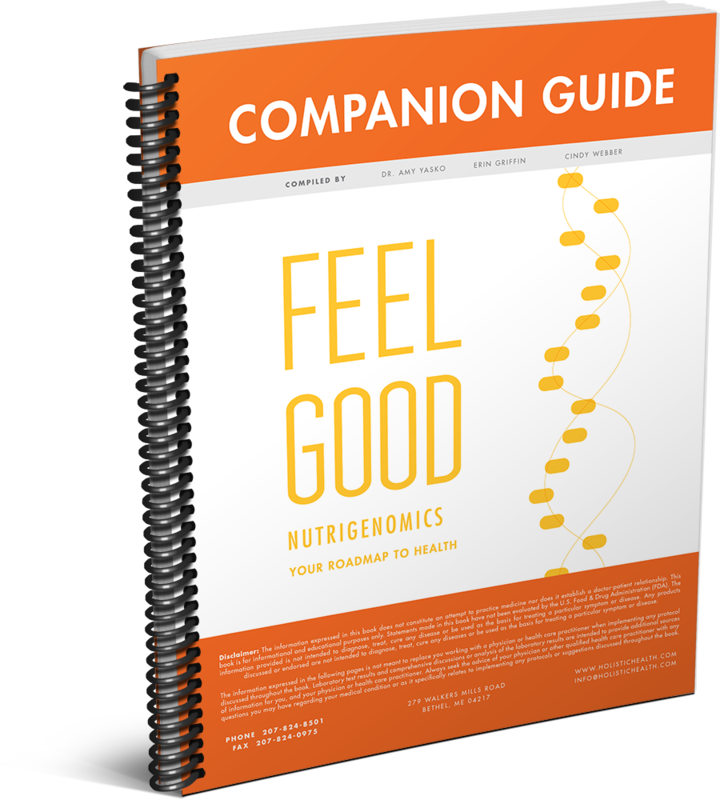 Using more directed RNA and nucleotide support appears to have value above and beyond merely eating foods higher in a more generalized nucleotide or RNA content. Since nucleotides and RNA are present in a number of foods it is possible to extract and concentrate these compounds from a variety of sources. Studies looking at extraction of nucleotides from a range of natural sources (sugarcane, pulses/lentils, oilseeds, yeast, mushroom and animal milks) illustrated that the highest yield was from specific fractions of sugar cane and from yeast (figure 4 Sonkawade 2012). While both yeast and sugar cane are natural sources, there is a long history and widely accepted use of pesticides in the growing process for sugar cane (Mossler 2008 and Carnegie 1972). For this reason, the use of nucleotides from yeast would be preferable. Nucleotides such as ATP transfer energy. Nucleotides are also intermediates in the synthesis of molecules reported to play a role in memory, focus and mental energy, CDP choline and CDP ethanolamine as well as in phospholipids. Higher levels of phosphatidylcholine (PC) to phosphatidylethanolamine (PE) were seen in the brains of animals fed a nucleotide supplemented diet as compared to controls. The learning abilities of animals fed nucleotides was also evaluated and the results suggest that “dietary nucleotides may influence lipid metabolism of the cerebral cortex and contribute to the rise in learning ability” in animal models. (Sato, 1995). This laundry list of positive impacts of the use of RNA and nucleotides encompasses the health concerns of the almost 100,000 individuals following the protocol on the chat group (www.ch3nutrigenomics.com) and the facebook page (www.facebook.com/DrAmyYasko).